July 2 was a perfect Gold Coast day, with plenty of warmth and sunshine.This was in stark contrast to the 2005 event, which took place only 2 days after a "one in a thousand year" flood. 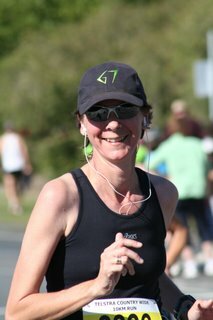 Team Dalby had 4 runners competing, with Angela Doyle, Maryanne Gibbons, Katrina Walton and Nev Walton all taking part in the 10km run. 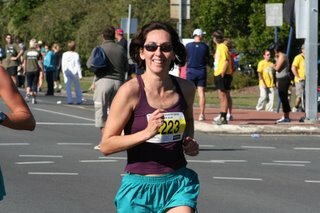 After a disappointing injury prevented Ang from participating in the half marathon last year, we were all excited to see her make it to the start line for 2006! Ang completed the course, placing 2nd in her category and pulled up injury free. 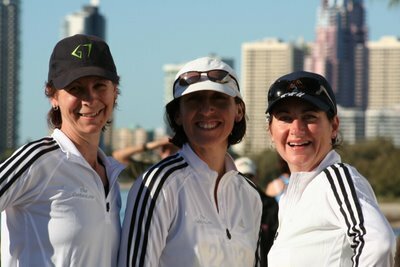 Nev, Katrina and Maryanne all performed admirably on the day. Although none recorded PB's - perhaps a few "speed sessions" at the highschool will help us all out. It was a wonderful event, superbly organised with plenty of entertainment in the form of live bands, buskers and crowds to entertain the runners along the course. All are looking forward to the 2007 event.